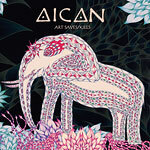 AICAN is a Yekaterinburg based instrumental post-prog band currently featuring Roman Varaksin on drums, Maxim Shein on bass, and Vitaly 'Krikston' Pereladov on guitars. 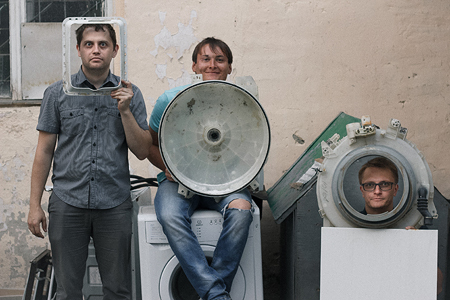 The band was formed in 2009, originally consisted of four members - Roman Varaksin on drums, Ilya Maltsev and Vitaly Pereladov on guitars, Vyacheslav Bal on bass - and was dedicated to the concept of so called Evolution Rock, absorbing the influences from both prog-rock and experimental music. 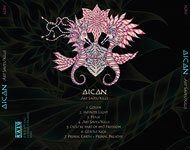 AICAN disbanded shortly after completing their debut album "Art Saves/Kills", but very soon re-emerged as a trio with a new bass guitarist onboard. It took the reformed line-up almost five years to compose, record, and produce new material that demonstrates a growing interest in more complex, epic, conceptual, and cinematic forms of modern instrumental rock music. Reviews: Musikreviews.de (Germany), Babyblaue-Seiten (Germany). "Art Saves/Kills is a worthy if not groundbreaking debut for Aican, and this is certainly a band worth keeping an eye out for in the future for they show enough ability here to indicate that they could be capable of producing something special down the line. (Conclusion: 6.5 out of 10)" – by Roger Trenwith at DPRP (UK) (January 2012). 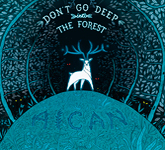 "Aican have created a moody and heavy, yet melodic, debut album that has tons of upside, but more importantly, reveals a lot of promise for the future as well. (Score: 3.5 out of 5)" – by Ryan Sparks at Sea Of Tranquility (USA) (January 2012). More reviews: Psychemusic (Belgium), iO Pages (The Netherlands).